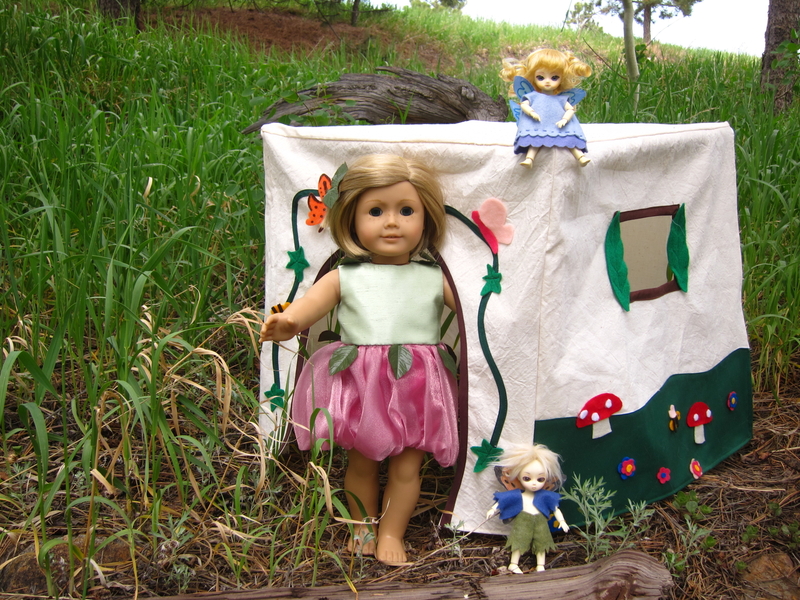 Make your dolls a Fairy Cottage! This design is perfect for 18” or smaller dolls. It is meant to be a playhouse for them, similar to the kids’ playhouses that are made to fit over a card table, but I imagine you could easily scale it up to any size you want.